Growing up, I was an anti-milk kid. Wouldn’t touch it. I’m talking eating dry cereal level of aversion. Concerned about my calcium deficiency, my mother launched a campaign to make sure I was getting my daily requirements. We went through many phases during this saga: the calcium chews, calcium-fortified orange juice, and milk in smoothies every morning. There was one surefire way to guarantee my calcium intake, though: yogurt with my mom’s granola. Slightly sweet and crunchy, always a little darker than golden and with a hint of tropical chew from the coconut, my mom’s granola still is the standard for me of what a great granola should be. Over the past year or so, I’ve been playing with a few granola recipes (stay tuned for more) but always wanted to develop my own basic granola recipe, one that’s an ode to my mom, but still has a little flavor of me. I’m all about the seeds in my granola, and this recipe calls for a full cup of them. I like to mix as many varieties as I can within that cup, as noted below. Dates have become an absolute necessity to me, which is why I have it listed separately from the rest of the dry fruit. I personally love using dried mango to double down on the tropical quality of the coconut, but the dates are nonnegotiable. They add a jammyness to the granola that complements the crunchy seedy clusters perfectly. Just remember, the granola will be soft when it comes out of the oven, and will continue cooking as it cools and hardens, so pull it out while it is still golden brown, not darker. Lastly, while I wanted to make my version of my mom’s granola, I also wanted this recipe to be as easily accessible as possible. To that end, I’ve included swaps and options for many of the ingredients. Use what you have readily available, and mix and match and combine as much as you want, as long as you stay fairly close to the quantities listed. There’s a ton of room for delicious creativity here, and believe me, it disappears fast enough that you’ll make this granola enough times to perfect your own recipe. Combine oats, nuts, coconut, sugar, seeds and salt in a large bowl. Separate eggs, reserving yolks for another use, and gently whisk egg whites. 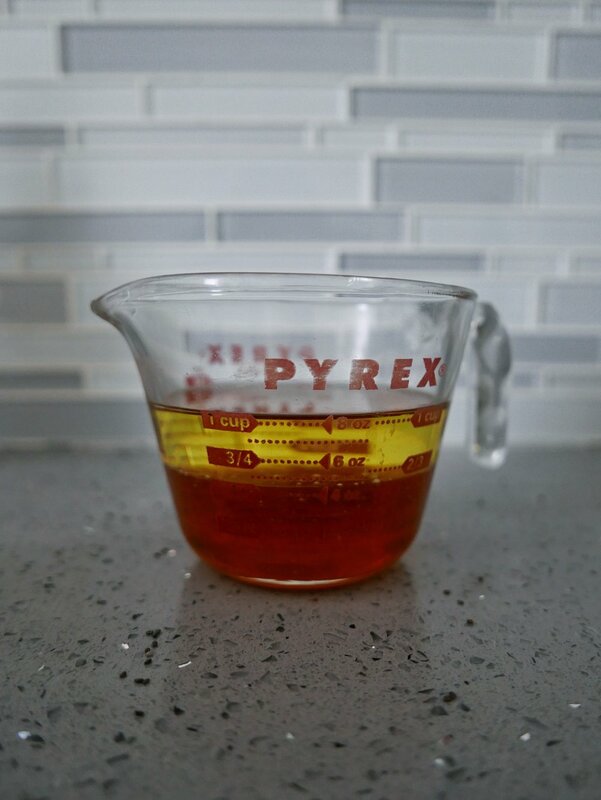 Combine honey, oil, vanilla and egg whites in a bowl, whisking to a smooth consistency. Pour liquids into dry ingredients, and mix well with a spatula. Transfer granola onto the baking sheet, and spread so that it is in a uniform layer. Place baking sheet in the middle of the oven, and bake for 25 min, then carefully stir the granola. The outer edges and top may be beginning to brown, and the center will still be uncooked, so stir to ensure even cooking. Let granola cook for another 20-25 minutes, until golden brown. Remove from the oven. 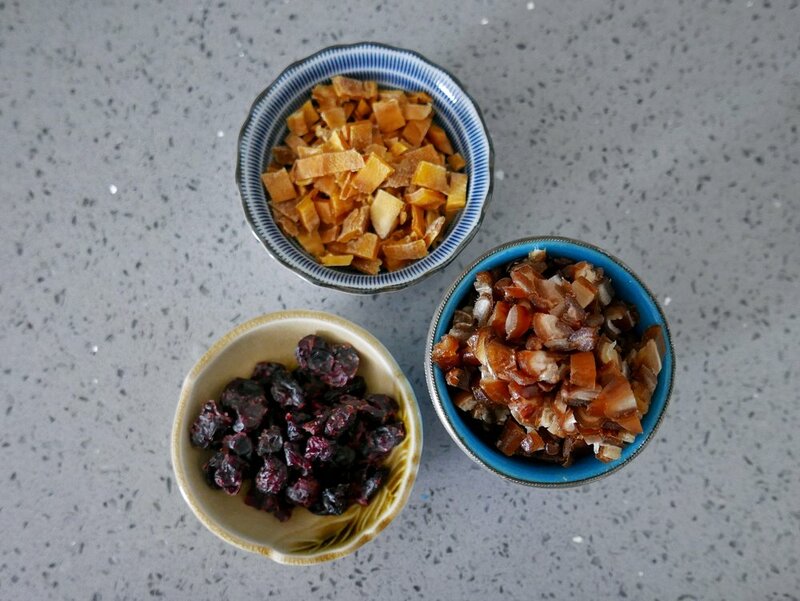 While the granola is cooking, cut up any large dried fruit into bite-size pieces. When granola is cool enough to handle, mix in dried fruit with your hands, then let it cool all the way. Store in an airtight container or ziplock bag.